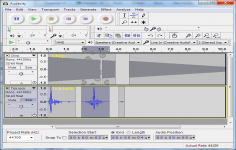 Audacity is a multi-track recorder able to handle full projects, and an audio editor. Audacity is a free audio processing software that supports the following file formats: WAV, AIFF, OGG and MP3, applying many filters to sound: silence suppression, echo or add special effects, noise suppression, mixing, distortion, reverb, pitch bend / shift and more. 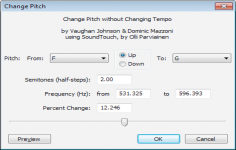 It can cut audio files, delete or add rests, apply fading in / out audio files and treat separately the left / right channels. 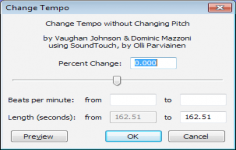 The program offers unlimited undo number and also the possibility to convert the records and old tapes to digital media. Thanks to the integrated editor, you also have the ability to copy, paste and mix sounds together to create multitrack projects.